Howard Junior High School (also known as Shiloh School) was built on the site of an earlier school constructed by the Shiloh AME Church. This one-story, wood frame building was constructed in 1924-25 with matching funds from the Julius Rosenwald Fund. 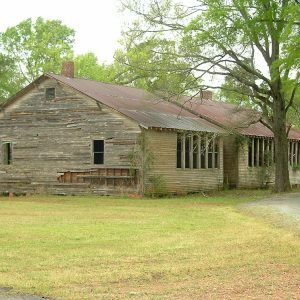 The Howard Junior High School, which was built according to plans developed by the Rosenwald Fund, had four classrooms and featured the rows of large windows typical of Rosenwald Schools. In the 1930s, two additional classrooms were added to the south end of the original structure.